CANNES, 10 May 2018: To showcase the diversity and collaborative opportunities with other nations a strong contingent from the country has reached the Cannes film festival. 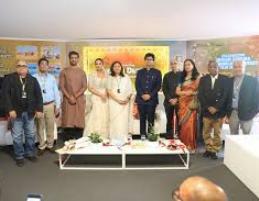 The inaugural session of the Indian Pavilion at the Cannes Film Festival 2018 was held yesterday. 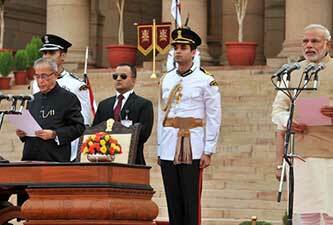 The Indian Pavilion is being organised by the Ministry of Information and Broadcasting, Govt. of India and FICCI. Hosted by noted actor Sharad Kelkar, it saw the presence of Indian Ambassador of India to France Vinay Mohan Kwatra, Ashok Kumar Parmar, Joint Secretary, Ministry of I&B, Govt. of India, Prasoon Joshi, Writer, Poet and Chairman, Central Board of Film Certification India, Vani Tripathi Tikoo Member, Central Board of Film Certification, Producer and Director, Jerome Paillard, Executive Director, Marche Du Film Festival, Cannes Film Market, Huma Qureshi, Film Actress, Jahnu Barua, Film maker and Bharat Bala, Film maker. Speaking on the occasion Vinay Mohan Kwatra, Indian Ambassador to France, said that the country’s ancient storytelling tradition coupled with the economic and technological transformations present several collaborative opportunities. “You come across a set of absolutely ripe and ready opportunities to grow international partnerships between the Indian film industry and the cultural and thought streams prevailing outside India,” he added. “The Indian Pavilion is a very important tool to help connect the European and worldwide film community with the Indian industry,” said Mr. Jerome Paillard, Executive Director, Marche Du Film Festival, Cannes Film Market. 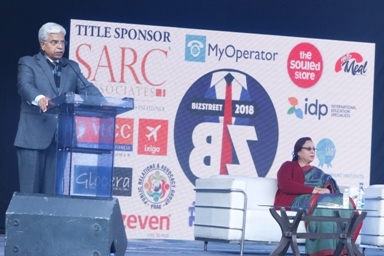 Highlighting efforts of Information and Broadcasting Ministry, Prasoon Joshi, Chairman, Central Board of Film Certification India said that the ministry had taken special efforts to showcase India’s regional cinema at Cannes. He further highlighted the need to reach out to young filmmakers who might not have access to a festival like Cannes. “Let’s create many mini Cannes film festivals all around the world to help more and more filmmakers,” he said. Vani Tripathi Tikoo, Member, Central Board of Film Certification said that several members of the International film festival of India, Goa were present at Cannes this year, “one of the major reason why members of the International Film Festival of India, Goa are here to ensure deeper collaborations between Goa as a film festival with filmmakers across the world, and collaborations in mentoring young filmmakers,” she added. Speaking about the Indo French collaboration in cinema she said that India has an excellent relationship both with the Cannes film festival and the French film industry. “Films like Tamasha and Befikre were shot extensively in this part of the world and found great resonance with the narrative storytelling between the two countries,” she said. Filmmaker Jahnu Barua share his thoughts saying that only a fraction of Indian cinema had been exposed to the world. “There is so much more to explore,” he said. Filmmaker Shaji Karun spoke about how the Cannes Film Festival helped him with his very first film. “Cannes discovered the filmmaker in me. It gave me an opportunity to get my film recognised here in France and other countries,” he said. Today, with such platforms, filmmakers are getting share their films with the world” concluded Actress Huma Qureshi.